With LG systems customers have the option to go with the system that best fits their needs. Unlike conventional systems that require the use of ducts, LG systems have option of being completely duct-free, completely ducted or a hybrid of both. For example on a two story home that has a basement, the top two floors could have a ducted infrastructure with an LG VAHU while the basement has duct-free units giving homeowners the flexibility to only condition the basement when in use. 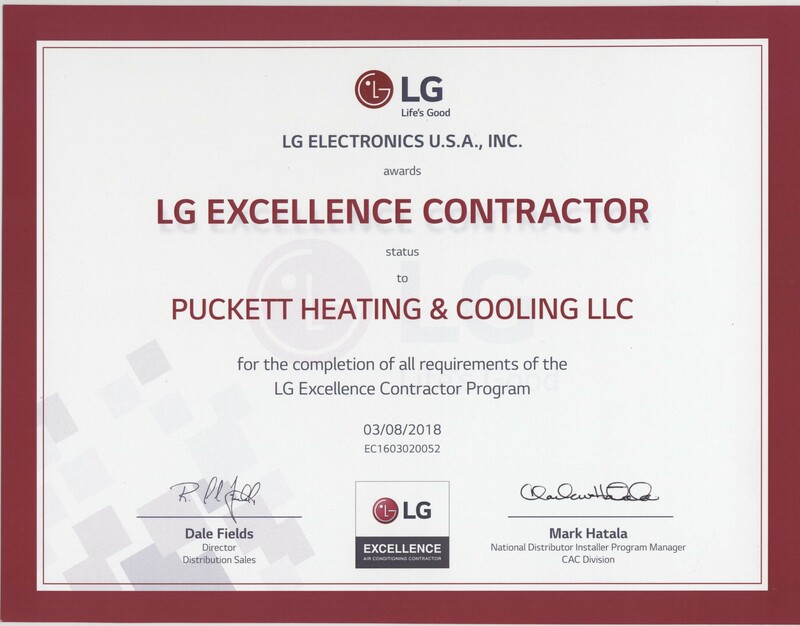 Puckett Heating and Cooling has selected a comprehensive range of Mini-Splits so we are able offer the most suitable and cost effective installation for your home.